Tournament successes and some milestones! Morrinsville Lessons to start again. 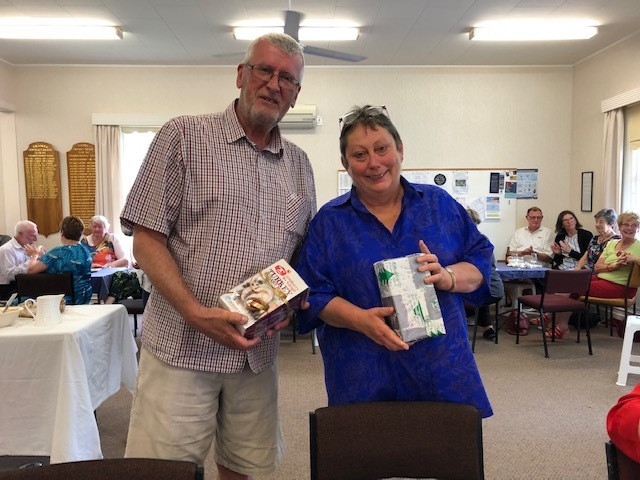 Richard Solomon's workshop "Finding Good leads and walking the 5 level tightrope"
Well done to Kathy and Ken Yule who won the 2nd session of the Area Pairs in Te Aroha over the weekend. Nice to see them both out enjoying their bridge at a pretty low key tournament which included some of the best players in the region playing alongside lower ranked local players. 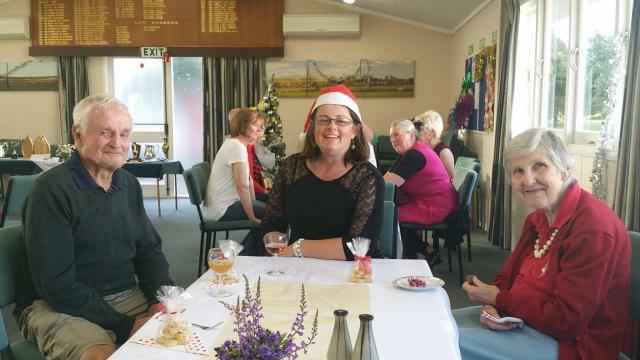 There were 18 tables which filled the clubrooms close to capacity. Sonia and Lesley also featured winning the morning session and coming 4th overall. It doesn't seem that long ago that we were celebrating Sonia's 90th birthday ... although her 92nd was a bit more subdued! 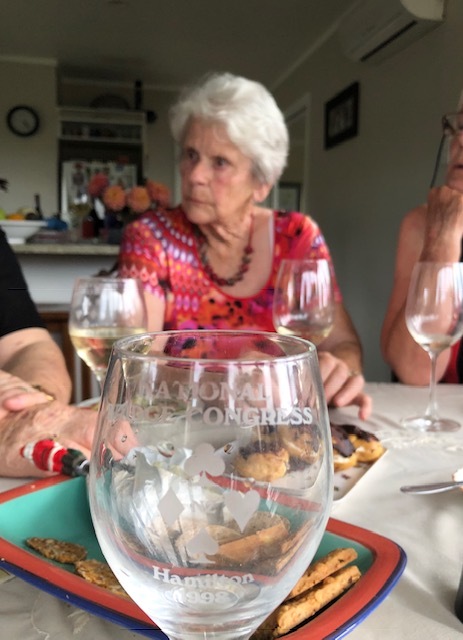 Rifling through her china cabinet for a glass made me realise the number of titles she must has won at congress over the years ... indicated by the many coveted championship wine and whiskey tumblers she had on hand. Also Happy Birthday for Jacob Kalma who celebrated his 21st birthday over the weekend. Hopefully we will see him back at the bridge table sometime soon although other ventures seem to have his focus at the moment! We had the sad news that Lucille Hughes passed away over the weekend at Pohlen Hospital. 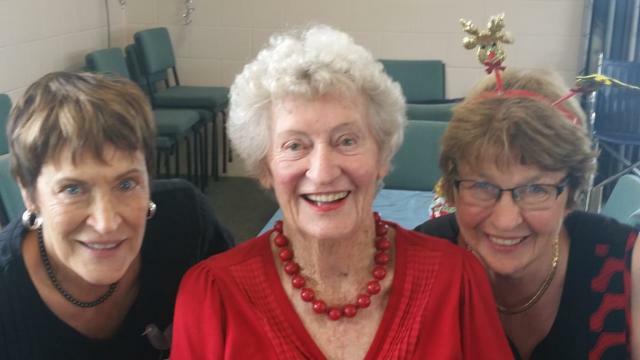 We remember Lucille for being great fun and full of energy at the Matamata bridge club despite battling illness and cancer for a long time and she was a close friend to many at the club. Much beloved wife of Arthur for 56 years. Loved Mum of Sue (Susan) and Roger, Brian and Sonja. Adored Nana to Aimee, Adam, Daniel and Timothy and Great Nana to 4 Great Grandchildren. "Finally the battle is over and she can rest in peace". 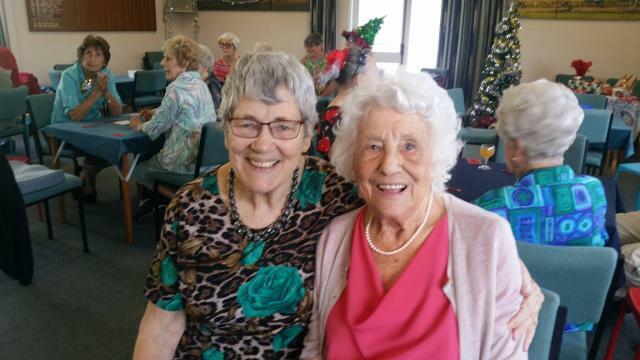 A service to celebrate the life of Lucille will be held at Daltons Plantation, West Hinuera Rd, Matamata, Friday, the 15th of March, at 1pm, followed by a private cremation. In lieu of flowers donations would be appreciated to the Cancer Society and may be left at the service. All communications c/- the Hughes family to 6 Tamihana St, Matamata. 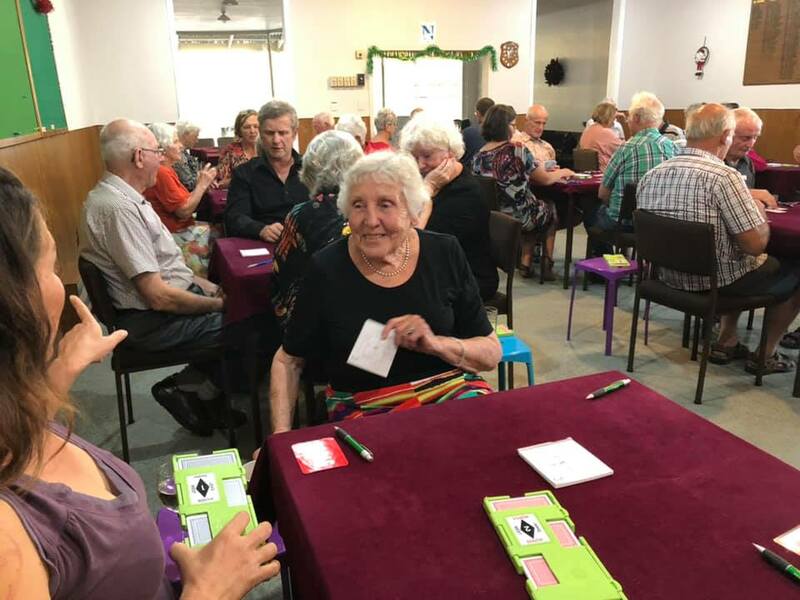 Morrinsville Bridge lessons will start again this year on Tuesday March 12th at the Morrinsville Bowling Club. Tutor will again be Nick Whitten and they're free. So if you want to learn to play Bridge - and it's very good for the brain - come along at 7 pm. Phone Nick at 07 8897831 or Rex at 07 8897348 if you need to know anything. Gold Grand Master and NZ Bridge Development Manager, Richard Solomon is coming to Te Aroha … bookmark 1st March from 7-10pm into your diary. Opening Leads ... when to lead trumps and when to be passive vs defensive. Walking the 5 level tightrope ... knowing when and how to big those big hands - also when to double for penalties or sacrifice at the 5 level. Attitude on defence - signalling to your partner. Register your interest by going into the tournament entry tab at the top of the website (http://www.piako.bridge-club.org/programme) . Spaces may be limited and Te Aroha players will get precedence. Te Aroha is back to normal - playing sessions on Tuesday 7.15pm and Friday at 11.30am. No partner required just turn up! Holiday Bridge at Matamata on Wednesday 16th and 23rd January from 1pm - 3.30pm approx. Partner guaranteed ie just turn up. Official Opening sessions Wednesday 30 January at 10.30am. Rainbow Movement, no partner required,just turn up. Thursday 7 February start time 7.10pm. Again Rainbow Movement so no partner required. Love to see you there. The Bridge Club Rooms are the coolest place to be -the air con is marvellous. Let's get the season off to a great start! The 2018 year has nearly wrapped up (although Te Aroha is playing bridge this Friday - 11.30 if anybody keen to come along). 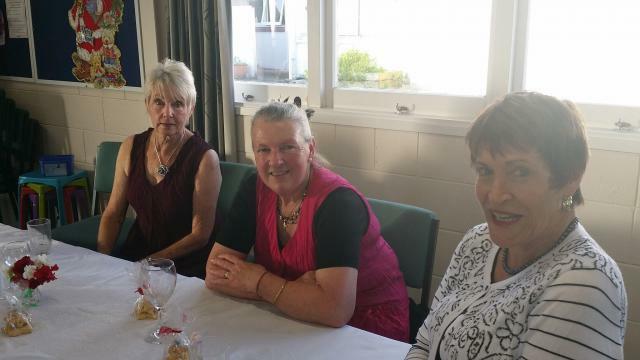 A selection of photos from the Te Aroha and Matamata Xmas and prizegivings are attached - with more available via the facebook pages. Keep an eye on this webpage for start up dates in 2019. 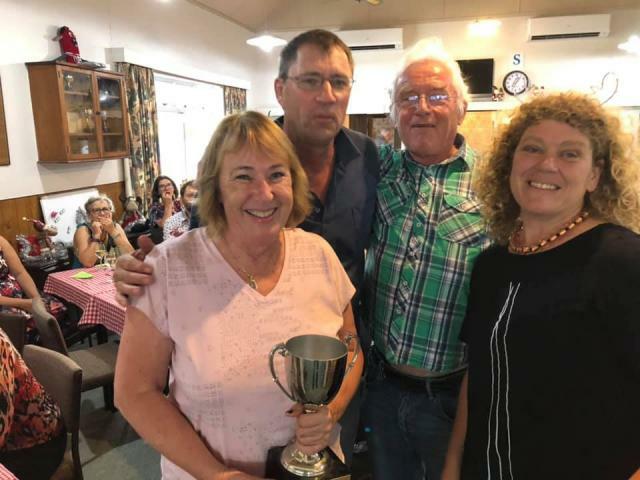 Ken and Kathy travelled down to Wellington last weekend and had an emphatic win in the 15A National Teams along with Auckland players Malcolm Mayer and Jonathon Westoby. The NZ Bridge article discusses their success (http://www.nzbridge.co.nz/latest-updates,listing,4860,national-teams-at-...) where they held the top spot for most of the tournament with just a small loss on one match out of 8 matches of 12 boards per match. 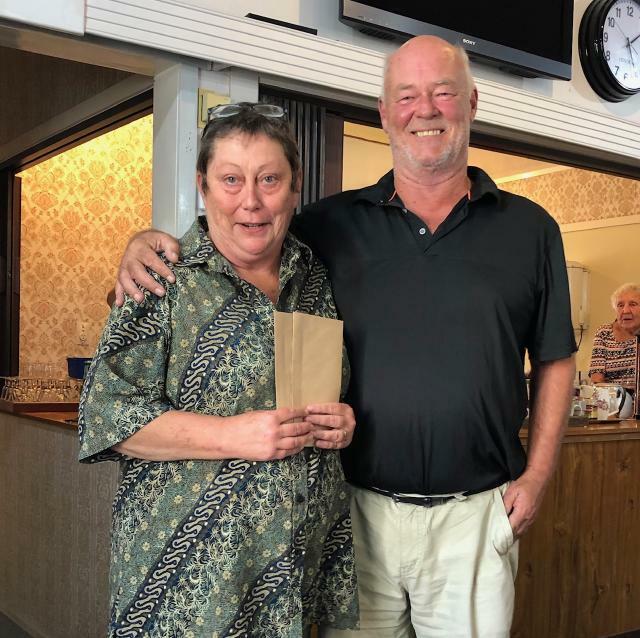 Kathy and Ken have had a very successful year at the bridge table and it bodes well for 2019 to see our pair finishing the year strongly. Albeit the year isn't over for Kathy yet - she will be representing the Waikato Bays region at the Inter Provincials which start tomorrow in Auckland along with Jo Simpson from Tauranga. They are competing in the Women's competition while our other Te Aroha locals - Tim Rigter and Rochelle van Heuven are competing in the Intermediate team. The other two categories are the Senior and Open Grades which are being contested across seven regions of New Zealand. Make sure you get behind and supporting our local representatives and the rest of the Waikato Bays team! Noel and Kathy had one hand on the ham after the first session with a great 64% session in the morning which was the top score of the day. They had a good second session as well but didn't match the first and ended up in third overall. This meant no ham but still a nice turkey to augment the Christmas dinner table. Winners on the day were Mary Ronke and Olive Davis from the Waikato club followed by Grant Jarvis and Gary Chen from Franklin/Akarana. The field was split into 4 sections (Spades, Hearts, Diamonds & Clubs) based on their rating points which shared the prizes around. Thames also put on a splendid after match supper which was excellent value for the $25 entry price. To be followed by 2nd night of bridge competition-New combination for the year. Nominations for positions on the committee can be made on forms on the wall. Wednesday -5th December. Shared lunch. Prizegiving and Bridge. Pot luck Dinner 6pm Followed by Prizegiving and then Bridge. Finish at usual time. See you all at these fun events. 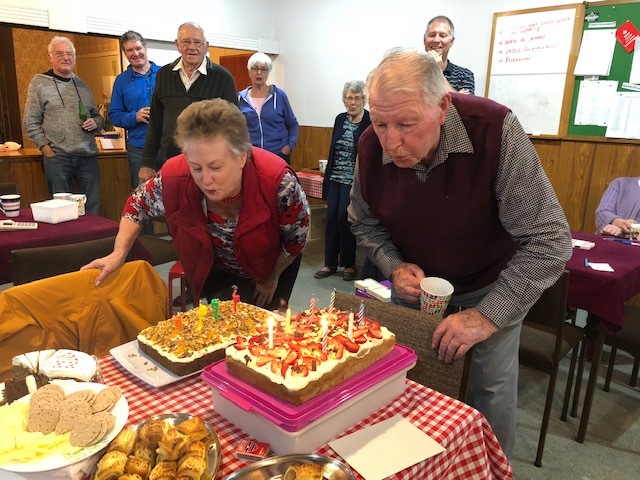 The combined 160 was split two ways - George Sherrell has just celebrated turning 90 in the weekend while Joan Darby-Smith turned 70 on Tuesday. No excuse needed to have a decent supper in Te Aroha ... and Corolyn outdid herself with the two birthday cakes. George ended up with a double celebration ... after he and Malcolm took first place North-South with 57% score. Suppose it is too much to score the same as your age! Congratulations Joan and George - it is great having you as part of our club.